This is for a used Batman Premium Format. Previously displayed. Has some minor imperfections. Looks like he has really small paint chips at two ends of the cape. 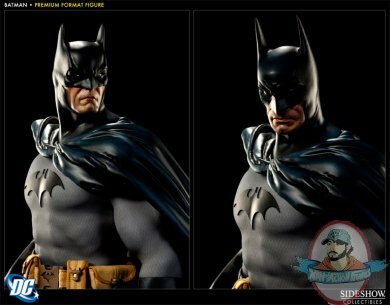 Also, when you take off the cape, you will see some minor scratches from where the cape makes contact with the stand. Finally, the foam-like feet below the base appear to not have been glued properly, and they have slide and the glue is showing. However, it doesn't affect how the statue stands. Sideshow Collectibles is proud to introduce the newest entry in our DC Comics Premium Format figure collection, the Dark Knight himself, Batman. 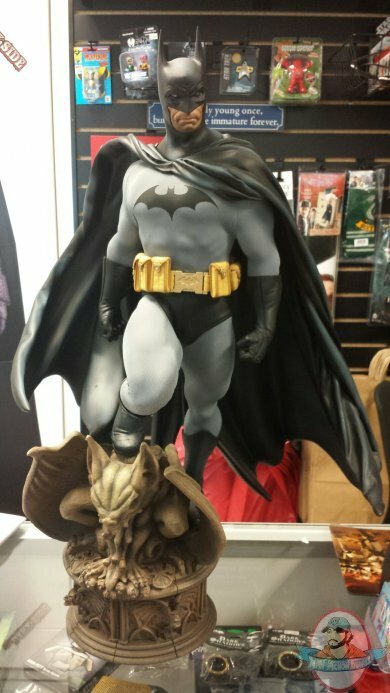 Towering over two feet tall, the Caped Crusader stands atop a stone gargoyle, looming over the insidious criminals of Gotham City. Presented in 1:4 scale, the dynamic and impressive figure is individually hand painted and finished with the quality and attention to detail that is the trademark of a handcrafted Sideshow Collectibles product. 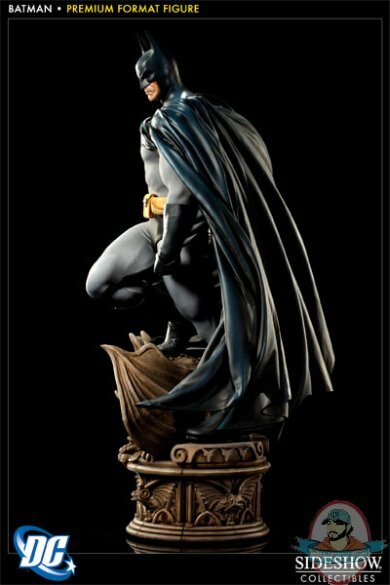 The Batman Premium Format figure, featuring two unique head sculpts, is a truly extraordinary addition to any collection. used but mint and complete.No coupons or discounts can be applied to this item.limited 1 piece per person.